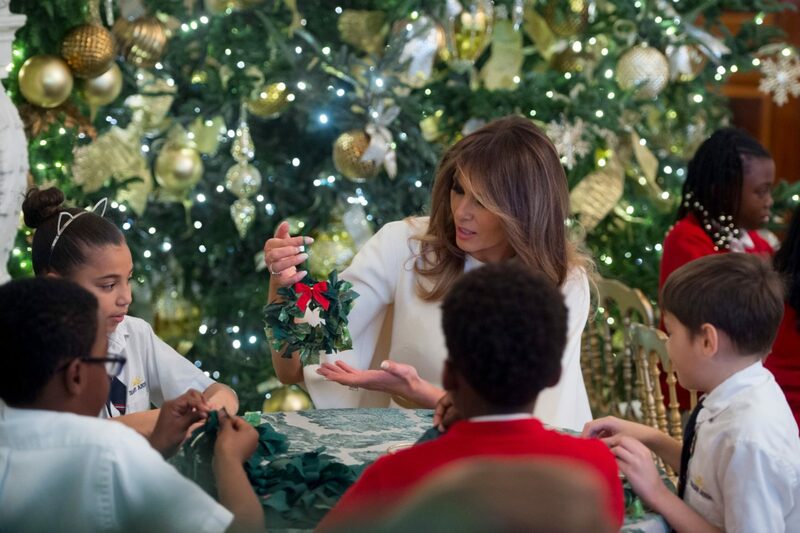 First Lady Melania Trump unveiled Christmas decorations at the White House. 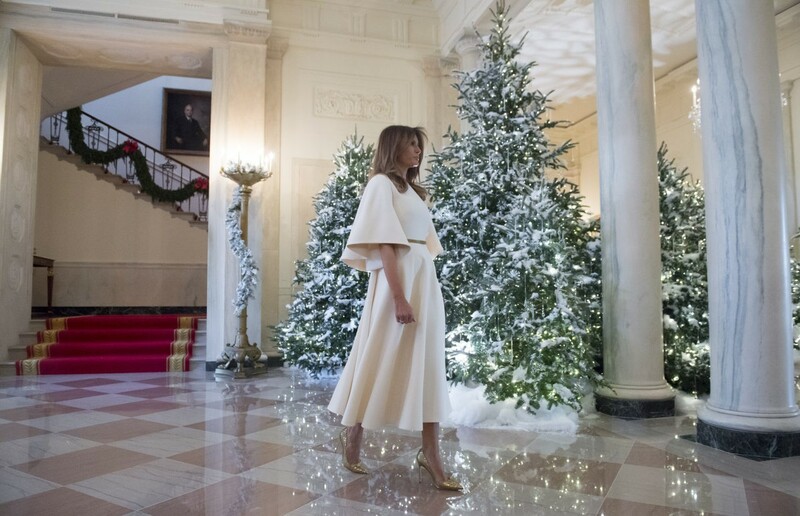 The First Lady’s theme is “Time-Honored Traditions.” A new touch this year are wreaths that hang from exterior windows with glistening wintry branches lining an East Wing hallway. 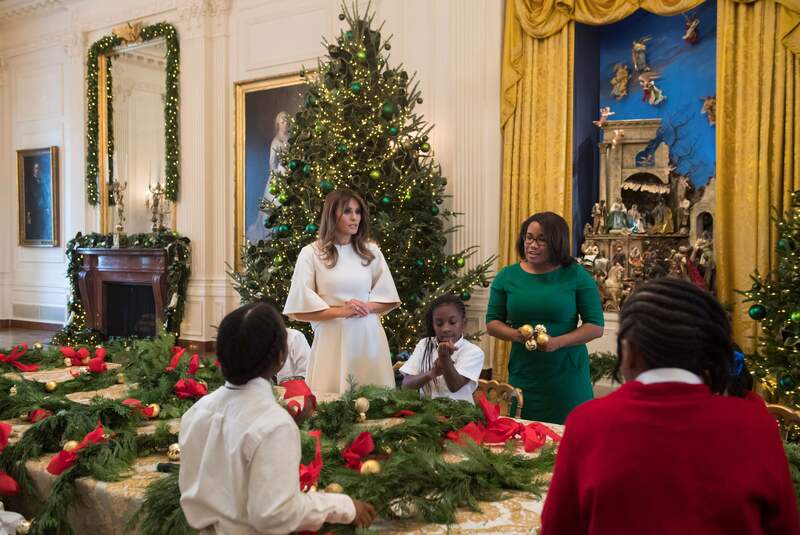 A fir tree in the Blue Room is decorated with ornaments from every state and U.S. territory along with a 350-pound gingerbread house which portrays a southern view of the White House. 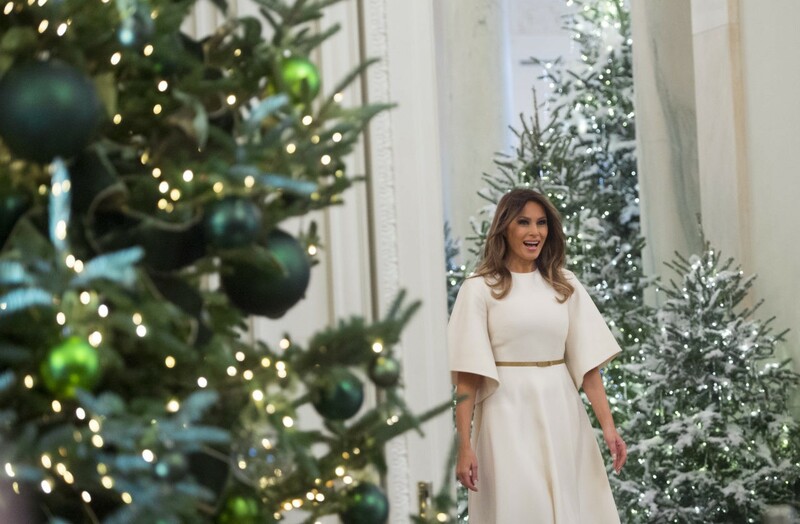 The Trump family Christmas tree is decorated with a gold-toned bauble featuring the presidential coat of arms surrounded by a wreath of holly. 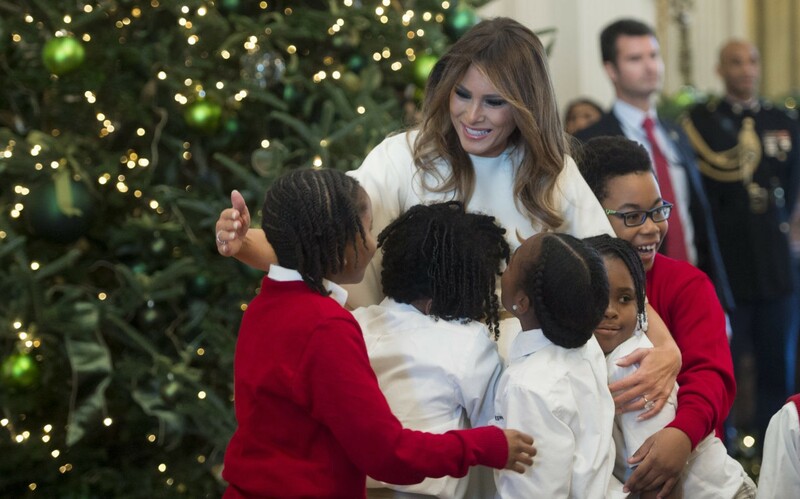 “Merry Christmas and Happy New Year,” says the White House Christmas card, framed on display and signed by President Trump, first lady Melania, and Barron, their 11-year-old son. The White House said Mrs. Trump personally chose every detail in this year’s decorations. just lovely and eye pleasing to evoke a silvery snowy environment. I taped a full show on the WH decorations on cable so will have to go watch right away! I agree! And sounds good, enjoy the show…thanks for commenting!